Do you want to learn what it takes to become a millionaire? Do you want to learn techniques to accelerate your wealth growth in todays economy? Do you want to discover tools that anyone can apply to create a fortune? If you answered yes to any of these questions you need to be in Winnipeg, November 22, 2012. 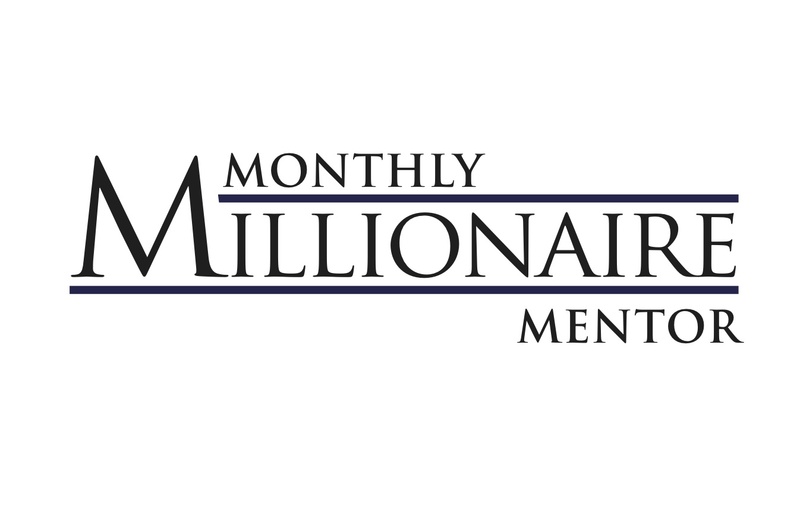 Monthly Millionaire Mentor Program coming to Winnipeg for One day special event! Do you want to learn what it takes to become a millionaire? Do you want to learn techniques to accelerate your wealth growth in todays economy? Do you want to discover tools that anyone can apply to create a fortune? If you answered yes to any of these questions you need to be in Winnipeg, November 22,2012. Douglas Vermeeren is the CEO of the Monthly Millionaire Mentor program. After conducting extensive research into the lives of more than 400 of the world’s top achievers, much in the style of Napoleon Hill. Since that time he has been teaching others superior and little known ways for growing their wealth securely and consistently in his coaching and mentoring programs. Vermeeren is the creator of the film The Opus (Featuring Jack Canfield, Mark Victor Hansen, Joe Vitale, John DeMartini, Marci Shimoff, Bob Doyle, Morris Goodman, Bill Bartmann and others.) Vermeeren is the author of several books including the latest ‘Guerrilla’ book with Jay Conrad Levinson, ‘Guerrilla Millionaire’ and ‘The Millionaire Myth.’ (With foreword by Bob Doyle from The Secret.) Vermeeren has been highly successful helping many to take giant steps towards their financial freedom. Why is a mentor important? And what would you look for in a mentor? If you had to walk through a field of explosive land mines which option would you choose? a) To attempt to go through alone. b) To go with some one who also had never been through. c) Go with a person who knew the safe way through. d) Read a book about it and give it your best shot. Naturally, the correct answer is C) Go with a person who knew the safe way through. Unfortunately too often people try to go through life and create a life of wealth focused on one of the other three options. Their results are generally unproductive. To get to the best results in the quickest time possible you need a mentor who can help you recognize the dangers, time-wasters and pitfalls that will take you off course or even keep you from completing your goals. The Monthly Millionaire Mentor program is such a program. It is the first program of its kind that involves an ongoing relationship with your mentor and not just a one-time seminar. It is also the first program to take the participants through the process of the education all the way through to implementation. What that means is that you no longer have to wonder what to do next when you hit the inevitable challenges that will appear on your path. Growing your wealth exponentially is not a get rich quick or easy venture. If you want to do it correctly there will be many thins to learn ahead. This program ensures that you get it! For one day only in Winnipeg, Douglas Vermeeren will be presenting more about The Monthly Millionaire Mentor program. At this event he will be sharing the 7 Reasons why you are not rich and what you can do about it. A limited number of free tickets will be given away through the Monthly Millionaire Mentor program. If you are interested in qualifying for a free ticket for a free ticket please contact Rachel@douglasvermeeren.com and she will send you details of what you can do to get one of these tickets. 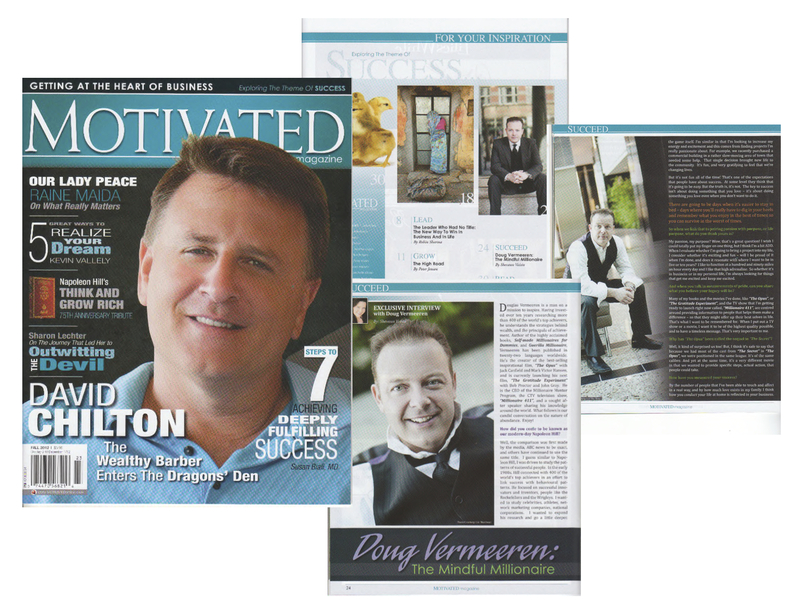 Douglas Vermeeren is featured as one of the WEALTH EXPERTS interviewed in this month’s issue of MOTIVATED MAGAZINE. New research into creating personal and business success. How to know if you’re in your brilliance zone. From broke to financial freedom in six months. Specific action steps to creating lasting success. Creating success in your family and with your kids. In this 5 page interview Douglas Vermeeren talks about wealth building strategies, his next movie and the importance of family. This is issue of Motivated Magazine is on new stands every where now.